Better understanding play and its relationship to language learning is something that I believe could significantly help you to improve how you go about learning languages. By doing this and implementing some of what you learned, you could get far better results than what you have been experiencing. This sentence somehow encapsulates everything that is wrong with many if not most current language learning methods, and points us in a completely different direction. 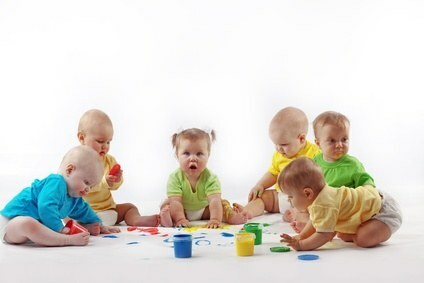 – Firstly, infants don’t employ memory as most understand it or use it in the learning or teaching languages. This should alert us to the fact that there is something very different going on. Young children don’t remember things on command, so why do we expect children in school or adults to be successful at doing it? They are far more sophisticated than that. Furthermore, why do we expect that skill to be helpful in the learning of languages? – It is of course clear that infants do remember what they learn. Why not explore what they do and see if what they do can be applied to later years. – Put another way the quoted sentence appears to suggest that infants learn in some unknown way. The vast majority of people would readily accept that. However, there is a lot that we already do know about how children learn their first language. Children learn from what is in their world of awareness and what they can engage in, not what adults bring to the table. Occasionally the two coincide, but most of the time infants are working on matters that interest them and engage them. We have little access to all that, apart from by observation. At times of course parents or their guardians can try to affect what children occupy their time with. That success is limited, as parents will know, as children tend to have a mind of their own. It is generally recognised that the play they engage in take takes a critical role in their learning. We can assume that these decisions are not random ones, but ones that are made knowingly by the child. One driver we can ascribe to this process, is the level to which the child is engaged in the process. Engagement is what play is all about. We can observe this by looking at the times we “play” with our hobbies, interests and even jobs! We follow what captures our interest and our attention for as long as it does just that. We don’t usually take kindly usually to being told what to do. We want to determine that for ourselves. In language learning, many believe that if they do what the teacher tells them they will learn a new language. It’s usually the ones who wake up to the fallacy of this who will go on and be successful in their learning. They understand that there is a lot more that needs to be done than follow the teacher’s or book’s instructions. A key to being successful is that the learner has to take over ownership of their learning. In the same way as infants have ownership of their play. They decide when, what, how long etc. This might not be so easy for people fed a diet of “follow me and do what I say” or who feel under pressure to perform. We will stop playing a game when these elements are not met. Adults typically can ignore all these markers, believing hard work and grit can get them to the promised land. I will suggest that very few language learners get there just by that. If you are not progressing as well as you would want, you need to start looking at other ways of learning and becoming more sensitive to your own reactions to what you are doing.